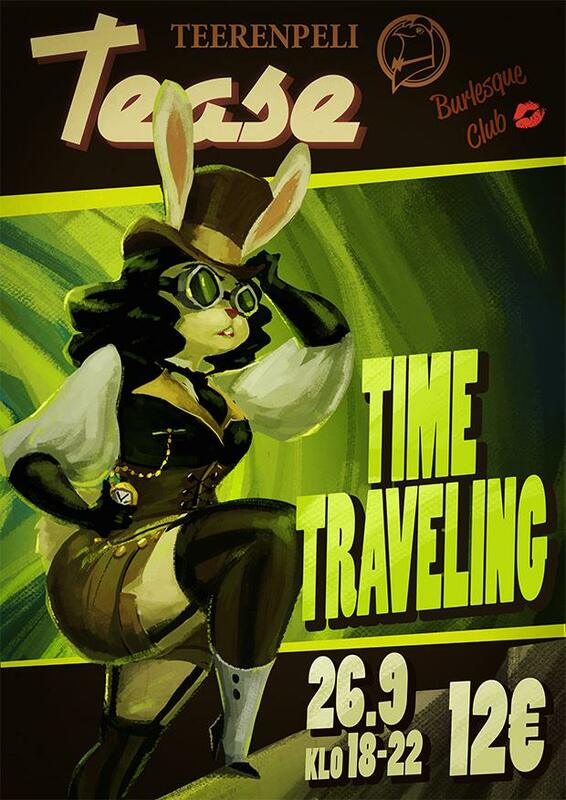 “Teerenpeli Tease – Time Traveling”! There is stuff happening at the Teerenpeli basement once again and this time we are traveling back (and forth?) in time! So come and spend an evening of fun with a bunch of friends, you are always welcome at Teerenpeli! Pick-up of the evening is Nana Violet! Spinning the records for you is Dj Jirci! You can also purchase tickets for 10€ with a Teerenpeli key chain. You can buy your own key chain from Teerenpeli bar for 5€ and get many other offers with it too! The other upcoming dates for the Autumn season are: 31.10 and 5.12! Remember to follow Teerenpeli Tease and Tampere Burlesque pages here in facebook to get all the necessary info about what’s going on and when in our area!